If you’re looking for tools and supplies for home improvement projects, then Lowe’s is the place to go. Just like The Home Depot, Lowe’s also has a large range of appliances, garden equipment, and everything else you may need for home improvements. But if you are a home improvement addict like me, shopping at places like Lowe’s and The Home Depot can get expensive. Luckily, there are ways to save money at The Home Depot and Lowe’s. 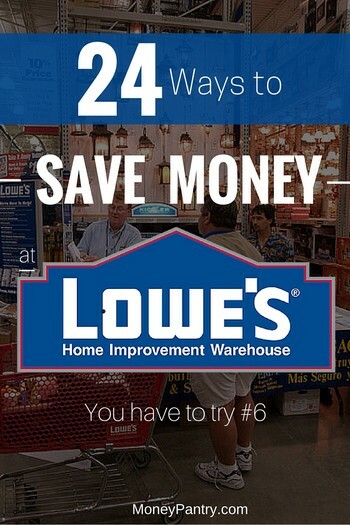 Here are 24 ways you can spend less the next time you are shopping at Lowe’s. There is one coupon that you should be able to get fairly easily, and that is for giving up your email address to Lowe’s. The coupon is good for 7 days and gives you $10 off a purchase of $50 or more. All you have to do is go to this page on Lowe’s official website and sign up. You may not see it advertised much, but, like many stores, Lowe’s believes in price matching competitors’ advertised prices. In fact, they do slightly better by promising to beat competing prices by an additional 10%. This even applies if you find cheaper prices online, including at Amazon. But you have to add the shipping and handling costs to the price. I understand that this feature is subject to the store manager’s discretion, but it seems Lowe’s may accept competitors’ coupons for a discount. I have used Home Depot’s coupons at Lowe’s many times without any issues. We accept some competitors coupons. However, they must be approved by store management. This discount has nothing to do with Lowe’s management, so is guaranteed. Just buy discounted Lowe’s gift cards for your purchase from Gift Card Granny, and you will save up to 10% or more. Or you can get a bigger discount of 10% if you get the Lowe’s Movers Coupon. The US Post Office usually carries “movers’ packets” which contain all sorts of information and coupons. You can often just pick them up locally, or you can request them online. The Lowe’s Movers Coupon included in the movers’ packet will give you 10% off for a single use, and is available for use both in-store and online. If you are charming and personable, why not simply ask nicely for a discount? Seriously, it’s a secret (or was) that each employee is allowed to give up to $50 off every day, and doesn’t even have to get manager’s approval. Of course, if you ask the manager you might score an even bigger discount! While it may be hard to find Lowe’s coupons online, you should be able to at least find competitors’, i.e. Home Depot’s, which may work. Also, check on RetailMeNot for discount codes – currently, they have 10% off Char Broil Tru-Infrared Grills, 20% on Sta-Green Lawn and Garden products, and much more. Another way to save money is to shop through a website such as eBates. Shopping portal sites make affiliate commissions when they direct traffic to the store, so they give some of the commission back as cash. For purchases from Lowe’s, eBates is currently offering a 1.5% rebate. Before you go shopping, be sure to check online to see what deals Lowe’s may have in their Savings Center. You can find it at Lowes.com/Savings. The sales are for a limited time, and at present they have up to 30% off selected major appliances. They cover all departments, and sometimes you can save up to 50%. You can save a lot by buying in bulk. If you’re doing a bigger job, like laying a new floor or re-tiling your bathroom, you can save because you are buying a large quantity. Just look for the “Contractor Pack” labels in the store, and it will show you what quantities you need to buy to qualify for a cheaper price. With so many goods on offer, sometimes you’ll find that the online prices are different from the ones you see in the store. Lowe’s has “Price Protection”, which means that you’ll pay the cheaper price, whichever it is. You can shop online and elect to pick it up from the store, that way you’ll see each price and know that you’re getting the best value. Each store has a place where they put the damaged goods on sale. Lots of things get dings or scratches, and Lowe’s can’t sell them at the full price. It’s too much hassle to replace panels or return them to the manufacturer, so Lowe’s will sell them off cheaply. Look for appliances that have the odd dent, possibly on the side where you won’t even see it when installed; and for broken bags of gravel or cement. You’ll also find offcuts from other customers’ orders and mis-tinted paint, all at a good discount. Lowe’s has Sidewalk Sales a few times each year (normally on the first or last Saturday of the month. 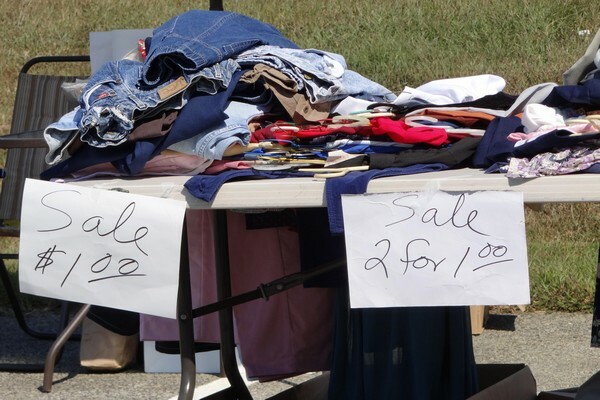 The Sidewalk Sale is used to clear out closeouts and returns. That’s another great place to find big savings on appliances, tools, and other things. You may know that Habitat for Humanity has stores, called ReStores, where it sells furniture and building goods, making money for its projects. You probably didn’t know that Lowe’s frequently donates its goods, such as last year’s models and closeout items, to Habitat for sale in them. You can find the Habitat store locations at Habitat.org/Restores, or in Canada look at Habitat.org/Restores?Place=Can. MyLowe’s is a program that is worth joining. It keeps a record of your purchases at the store, so they can look at what you’ve bought in the past. Say you couldn’t remember what size air filters you needed for your air-conditioning, or what color paint you used in the living room, the system allows an assistant to pull up all your old purchases and check it out. That’s not all you can do with MyLowe’s. 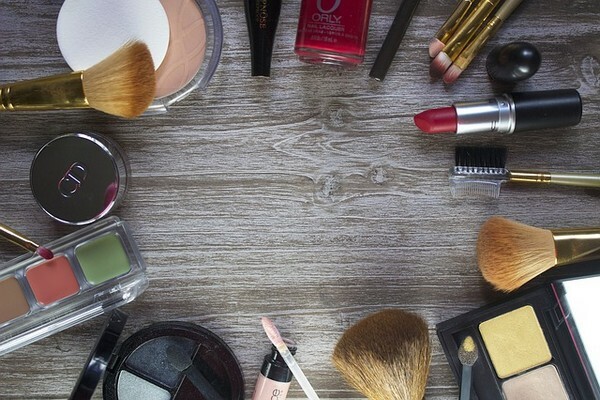 If you want, you can create a list of products for each project you’re working on, and access articles and videos to show you how to do the job. Additionally, you can have MyLowe’s send you reminders to buy products you use frequently, and even record warranties and information such as the size of each room in your house. When you use a Lowe’s credit card, you get 5% off, so you may want to consider getting one before you start your next big project. As an alternative, Lowe’s will give you special financing offers on purchases of $300 or more, but you can’t then get the 5% discount. The military discount is a special program that Lowe’s has, honoring those who have served. If you are currently in service, have retired with 20 years’ service, or you are a VA recipient, you can get 10% off most items, with a few exclusions. In fact, if you are a veteran but don’t have 20 years’ service, you can get the same discount on Memorial Day, Independence Day, and Veterans Day. Unlike many other stores, Lowe’s don’t seem to issue many coupons for savings in the store. Occasionally they’ll have manufacturer specific coupons when they’re trying to promote some goods, but you won’t find many general use coupons online. You will also find one-off coupons issued for particular purposes, such as their movers’ coupons for customers who are moving house. Otherwise, it’s best to watch for sale items and special offers. Get discounts and special offers by joining Lowe’s Garden Club. You’ll get a free weekly newsletter that includes coupons, and you’ll be able to enjoy discounts on plants and gardening supplies. Make sure you get all the rebates you’re entitled to by going to Lowe’s Rebate Center. Many times you can get manufacturer rebates, but you may also get tax credits or utility rebates. Lowe’s Rebate Center will tell you what to do. You can buy Lowe’s goods through Swagbucks and earn points that you can use for rewards. For every dollar you spend at Lowe’s, you get two points. If you want to get your stuff from the store, simply order it online through Swagbucks and select “Pick up In-Store” as your shipping option. It should be ready by the time you get there. If you’re new to Swagbucks, be sure to read our Swagbucks review where we explain a step by step plan for making an extra $758,25 a year through Swagbucks. You’ll find a Clearance Section, or maybe more than one, in every Lowe’s store. The goods on clearance are always changing, so you need to check every time you visit the store. Alternatively, you can visit the Lowe’s Clearance Center online by entering your ZIP Code, and you’ll be able to see what’s available at your local store. Just like The Home Depot, Lowe’s has a desk dedicated to contractors where Pros can get big discounts. However, you don’t have to be a contractor or a pro to take advantage of their special discounts. Sometimes, simply asking the employees is all it takes to get contractor deals. I should know, I get pro discounts all the time! Like most retailers, Lowe’s also has an app that you can get for free from the iTunes app store and/or GooglePlay. Installing the apps won’t directly save you money, but the company does send out special discount codes only available on their app. So if you shop there a lot, it’d be worth it to take a few seconds and install the app. Lowe’s has a great selection of home improvement goods, already at good prices. With the help of the tips above, you can save even more, and make your projects more affordable. JimBob, thanks for chiming in. I actually used 1 and 5 myself. So it may be based on location.